A few Sundays ago I spoke on how we got our Bible. I walked through not only the formation of the canon in the first few centuries of the Church but also the progression of the English translation of the Bible (You can see my article on the progression of English Bible translations here). I love teaching this stuff! It both humbles and excites me to see how God preserved his word for us today. After one of the services a friend of mine approached me and offered to let me borrow a Bible he had been given as a wedding gift from his mother-in-law years ago. What Bible was it? The Geneva Bible. 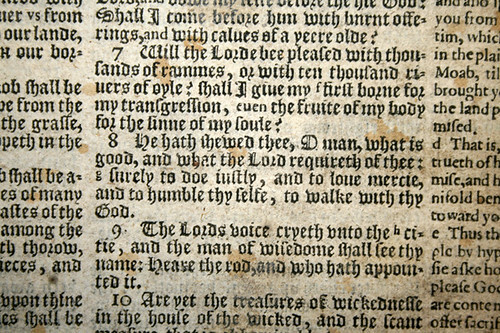 This was a Bible produced in Switzerland in 1560 by Puritan refugees fleeing persecution from Queen Mary. 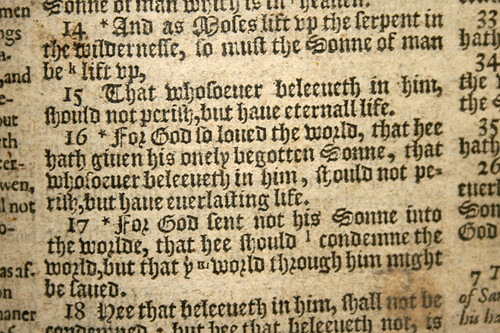 This was the household Bible of English-speaking Protestants due to being smaller and more affordable. 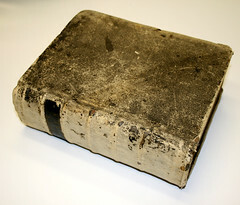 It contained “study notes” for commentary on biblical text (the first Study Bible?). 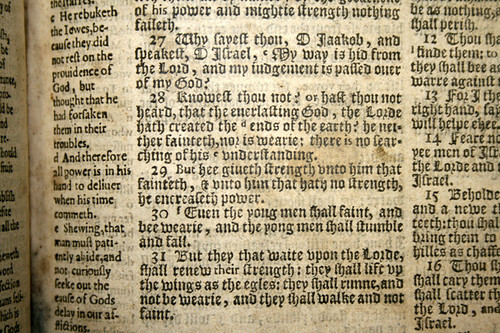 It was also the first complete English Bible to use chapter breaks and numbered verses. 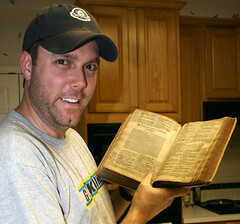 It was the Bible Shakespeare used and the Bible brought over to America by the pilgrims on the Mayflower. That’s really awesome! I have several old bibles and books from 1800’s-early 1900’s. My grandfather (died before I was born) was a Baptist Preacher and I have a big box of his books and notes. I took a few pictures of stuff, but I have a huge box of books. My Mom has a family bible from the 1800’s. I love looking at all that old stuff, but I’m a germophob and I’m sure there are really old germs in there. Eww. Is that a catchup stain I see on there? 1. Isaiah 40:28-31 – that’s my favorite verse of all time. Used http://www.blueletterbible.org to verify – great resource for those who have not heard about it! You can see many translations, concordance, etc.